11:15pm – Big Brother asks the housemates to gather in the lounge. 10:57pm – Rico Swavey’s diary session. 10:47pm – Alex’s diary session. 10:13pm – Cee-C’s diary session. 10:03pm – Miracle’s diary session. 9:51pm – Khloe’s diary session. 9:47pm – Mean while inside the bedroom, Lolu is still begging and pleading with Anto after she discovered that he has a lover outside the house. 1:24pm – The task kicks off. 1:22pm – Teddy A and Bambam are cuddling. 11:19am – A fight breaks up between Cee-C and Nina all over a plate of food. 10:20am – Big Brother’s ninjas collect all the seats in the house, we’re still wondering what this ‘adventure’ is about. 8:55am – Head of House Tobi reads out a task brief to his fellow housemates who are all gathered in the lounge. 8:46am – Tobi leaves the garden after working out alone, he goes and rests on the couch in the lounge. 8:27am – Mena while is in the garden working out by himself. 8:24am – The other housemates have now began waking up one by one. 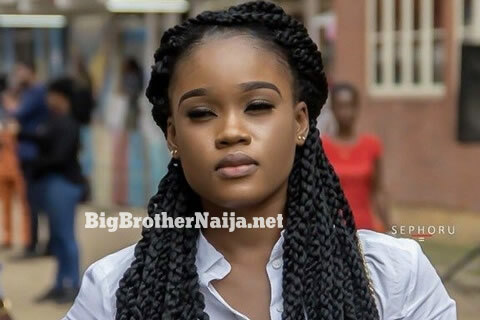 8:11am – Apart from Cee-C and Tobi, all the other housemates are still sleeping. 8:07am – Tobi is working out while in the garden. 8:03am – Tobi is doing some little physical exercises inside the house. 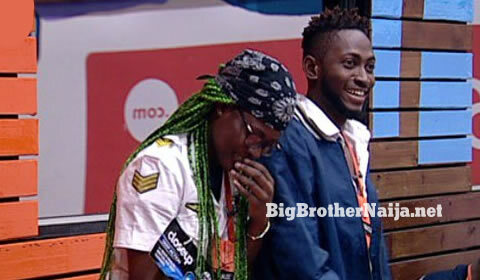 7:50am – Tobi is awake and he’s seated in the lounge. 7:30am – Cee-C is quietly seated alone in the garden. Good morning to you all and welcome to day 58 of Big Brother Naija 2018, follow today’s Live Feed Blog for all the latest updates. You can as well check out yesterday’s highlights Here.